Ellie—Lady Eleanor Rodriguez, Countess of San Jaime—possesses a worthless title, but her feisty spirit captivates the elite of the Queen's court—especially the dashing new Earl of Dorset. William Lacey, Earl of Dorset, has inherited his father's title—and his financial ruin. Now Will must seek a wealthy bride and restore his family's fortune. If only he hadn't fallen for the beautiful but penniless Ellie . . .
Sparks fly whenever Ellie and Will are together, but circumstances—and the conniving interference of others—threaten to keep them apart. 1584 – Surrey, England When Lady Jane Rievaulx begins service to the Queen at Richmond Palace, she is thrilled at the court’s newest arrival . . . Master James Lacey. Despite her previous courtship with his older brother, James is the man she truly loves. And for his part, he cannot deny his fascination with her. However, James is setting sail on a treacherous journey to the Americas, seeking absolution for what he sees as past sins. But when Lady Jane is forced into a terrible situation by her own family, there is only one man to save her. Will Master James return to his lady ­- before it’s too late? At the very center of these books are the characters- Ellie and Jane are characters that you root for. They are flawed heroines, but learn from their mistakes and really try to make better lives for themselves. They are not self-serving and have a genuine care for the people around them. As a reader, I wanted the best possible ending for them. It takes a great writer to make the reader feel like she is really a part of the book. I didn't feel like a bystander reading these books- I wanted to be a part of them. I can't wait to read the third book in the series. I know they have already been released in the UK (so if anyone out there that is reading in the UK wants to send me a copy I'll be your BFF forever!) but the third book will be released in 2013 here in the US. I don't know if I can wait that long- the books really are that good! 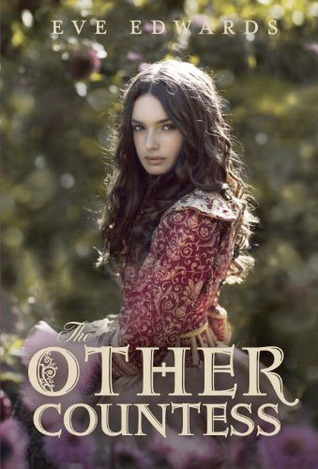 If you are a fan of historical fiction (even historical paranormal)- I think you will be a big fan of these books. I am excited for the future of Eve Edwards and the fantastic storytelling she brings to the YA world. Nice review. I have not been a big fan of historical fiction, but after I read some reviews they make me want to go start reading right away. I love when leading female characters are flawed yet still heroines, the one thing that kept me from reading historical fiction was he damsel in distress cliche'. So this sounds intriguing. I like the Queen's Lady cover the best. You are very right. There is very little in the way of historical YA of this caliber. 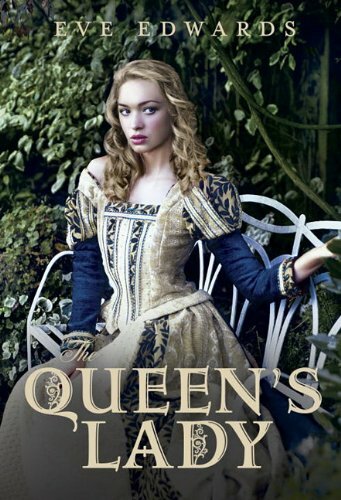 I wonder if Eve's books will start a slew of historical YAs with young men and women of the court, peasants and the dukes who love them...something along those lines.